Cold calling is the worst part of a sales call. You don’t really enjoy making a cold call and get insulted every time you call a place without prior appointment. But, without this activity, you don’t really make that successful sales conversion in your lifetime. But, do you gain success with your cold call? Not many people would give an affirmative answer to this question. Though you don’t like it, you need to perform cold calling religiously in order to get that perfect sales conversion. Here are a few tips, not secret formula that will help you succeed in your cold calling efforts. These tips are taught to every person as part of their phone sales training courses. When you make that call to the person, don’t give away any information about you. You want them to call you back; so just have a call to action message set at the end of the conversation. You should urge them to return the call by alluring them with the call to action message. Make sure you give them your phone number correctly. Even if it requires you to repeat your phone number again, do so. They should have your number handy to return that call. You should not provide a specific time when the person can call you back. Let the time be open ended. This way they would not give time as an excuse for not calling you back. Never hint at calling back that person in case you don’t hear from them. Most sales people make that mistake of hinting a call back. This way you will never get to hear from them. It should be a norm that when you are going in for a cold call, you should never enter into the voicemail territory. This might seem like an interesting way to connect with your potential customers, but it is a trap. You never get through to them, and that cold call gets absolutely cold with time. Avoid calling on Friday afternoons. As part of your telephone sales training courses, you will get to hear how the calls that are placed on Friday afternoons are never returned, or taken into account. After a long weekend and a busy start to the week, most people forget that cold call you made on Friday. You feel the highest authority for you is the person who is at level with you. No, that is a wrong way to indulge in a cold call. Make sure you attend to a person who has a higher authority in the company so that you can make a successful cold call. 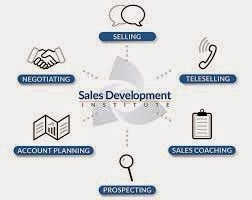 To make your sales effort successful, it is important that you believe in what you are selling. In case you don’t believe in the potential of your products or services, you won’t be able to sell it successfully. You should always remember that there is no such thing as a perfect time. In phone sales training courses, you will be taught that there is no such thing as a perfect time; the moment you decide to make that call is the perfect time. Brilliantly written. Cold calling is a very challenging type of marketing. These tips would surely help in tackling such challenges.